In exactly one week from today, the 2010 Olympic Winter Games will kick off here in Vancouver! It’s hard to believe that the Games are coming so soon. You can really feel the excitement in the city right now, as people are buzzing with excitement to host the world. If you’re going to be in Vancouver during the Olympics, and you have an iPhone, then you’re going to want this app. 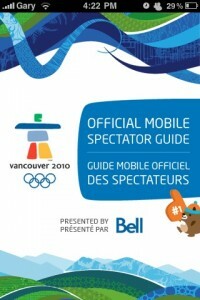 It’s the official 2010 Winter Olympics iPhone app by Bell, and this is one cool mobile spectator guide. 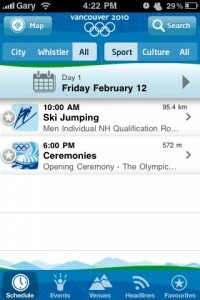 The app is FREE, and it uses your location to help you navigate to and from the 2000+ sport and cultural events over the duration of the games. Your location is used to tell you “What’s On Now” close to you, plus there are maps to over 80 venues, along with directions on how to get there (turn by turn directions!). 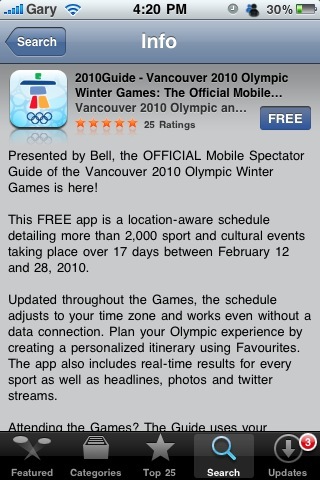 This is a must-have app if you’re going to be enjoying the games in Vancouver! 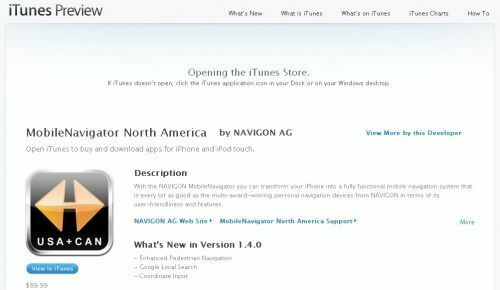 The app adjusts to your time zone and also works without a data connection. 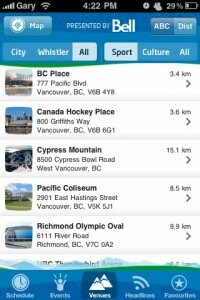 You can plan an itinerary with a Favourites section and there’s also real-time news, photos, and twitter streams. I’ve been playing around with this app and it’s definitely pretty cool. 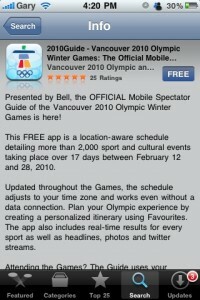 Other Olympic-related apps we’ve reviewed include: CTVOlympics.ca, Historic Olympic Medal Table, and CowBell2010. 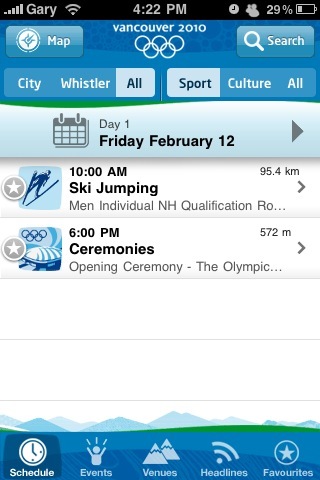 Bring on the Olympics!